The one-offs keep on coming from Dainton – as do the fruit additions. Coming hot on the heels of the Blood Orange Rye NEIPA, this is another murkfest from the Carrum Downs brewery: a deeply cloudy affair, albeit looking a lot less like the Yarra thanks to its light yellow hue. 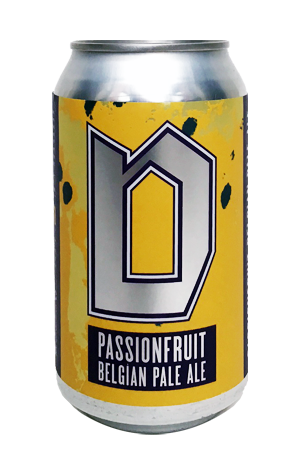 The beer itself is a Belgian pale ale augmented by the addition of passionfruit (presumably plenty of it given its opacity) and designed with summer (and sauna) sessions in mind. Thus, it's low on the booze front and high on the fruitiness. As you might well guess, it's passionfruit that's leading the way, coming across like the bigger-than-Mrs-Pint's-head passionfruit sponge being served at the Wandiligong Maze café back in 2008. You might pick up a touch of banana in there too before the soft, rounded body rolls through, pulling a drying, herbal yeast driven underbelly in its wake. Be sure to join us for more rural cake-related Dainton beer write ups soon!